As my father's health has declined, my mother has been taking on more and more of the household duties that my father used to attend to. One such responsibility is vacuuming: my father used to vacuum on Saturday mornings, after we all finished our Saturday pancake breakfast of whole-wheat pancakes made with Herman and topped with fruit and whipped cream. Saturdays don't work for my mother for vacuuming, so she has declared, "On Wednesdays, I vacuum." This past Wednesday, as she vacuumed, she observed that the vacuum cleaner's power cord was starting to fray badly at the point where the cord exits the vacuum. She showed this to myself and my father, and we observed that it looked like it would probably be straightforward to take apart the vacuum and then shorten the cord slightly. Overall, I'd say we were correct about this assessment. In the process of making this fix, I learned from my father that twist-on wire cap connectors have directionality and tighten in a clockwise direction. I also managed to find a small bolt and nut to replace a failed bracket rivet for the bracket holding the vacuum cleaner's wheels onto the vacuum. Wedging the plastic cord-holding bracket back into the metal hole in the vacuum cleaner was the trickiest part of the repair. 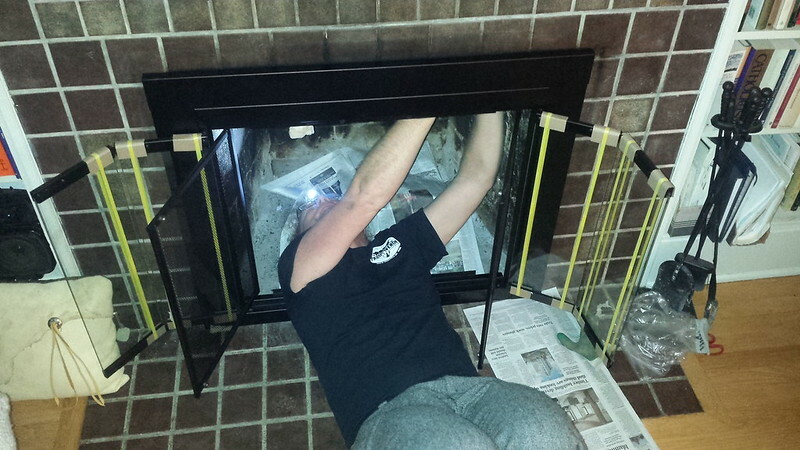 Apparently concluding that the vacuum cleaner was an insufficient challenge, my mother then made noises about another, more daunting-sounding project: replacing the fireplace screen. In the end we rated our installation job as "Adequate, but could be ruined by an exuberant toddler pulling on the screen too hard." One-size-fits-all brackets rarely do, in case you wondered. And that is how I spent my Christmas vacation - at least, the part of the vacation after the sailing bit and after my siblings had left. This entry was originally posted at https://rebeccmeister.dreamwidth.org/1272585.html. Please comment there using OpenID.